Amazon is celebrating its #1 ranking in customer satisfaction by the ACSI! 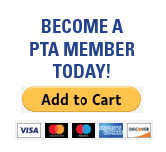 Today, March 16, Amazon will donate 5% (10 times the usual donation rate) of the price of your eligible AmazonSmile purchases to New Hampshire-Oakview Elem Sch PTA. Get started at smile.amazon.com/ch/52-1791655.